← Bright Side Blog Bash Day 5!! Bright Side Blog Bash– Final Winners!! Once again, Lacie and I would both like to thank everyone for participating in this week’s blog bash. We have had SO much fun! Please stick around with us as readers at both of our blogs. We have thoroughly enjoyed hosting you this week and we hope that you’ll come back to see what we’ve got on our minds and to participate in future contests and giveaways! I’ve gotten such a kick out of reading your comments this week (will I ever be brave enough to try all those sandwiches??)! Congratulations to all the daily prize pack winners! The winner of the GRAND PRIZE BOOK PACK is…..Dawn Kelley! And the other big announcement!! Each of you has won one prize from me and one prize from Lacie, and we sure hope you enjoy! Please email us asap so that we’ll have your contact email. Please email both me AND Lacie and please include the prizes that you won in the email so that we can get your contact info to the right people and your instructions to you. Congratulations to each one of you!!!!!!!!!!!!!!! I’m kind of bummed that the Bright Side Blog Bash is over, but I won’t be so bummed once I see your lovely comments again on future posts. Again, thanks for joining us this week and God bless you all! I’m trying not to pee my pants (something you can probably relate to being pregnant and all…sorry. Probably TMI) because I SOOOO badly wanted the critique from MacGregor Lit!!!! Wow. The Lord is good as this week hasn’t been the easiest one for me. I know your gang has been down for the count, too, so know that I’ve been really praying for you. I’m emailing you my info next. Thank you so much – this bash has been a delight! I am so excited for you, too!!!! I’m thrilled we could offer such a cool prize, and I know you’ll enjoy getting that feedback. Congrats, Becky!! And congratulations to everyone else who won, too!!!!! Dawn, you lucky girl! The book pack is to die for! Hannah & Heidi – high five!!!! 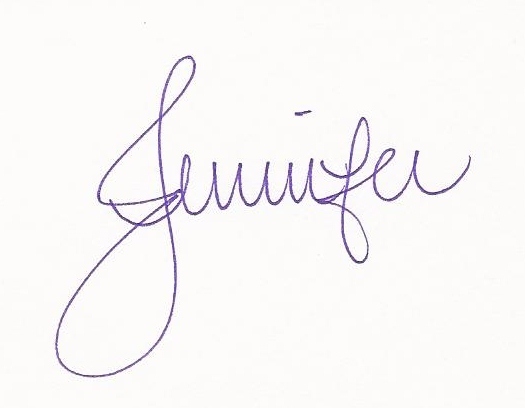 Jennifer M – Yes! The pavement is moving beneath our feet. We’ll talk! Thanks again, Jennifer and Lacie! 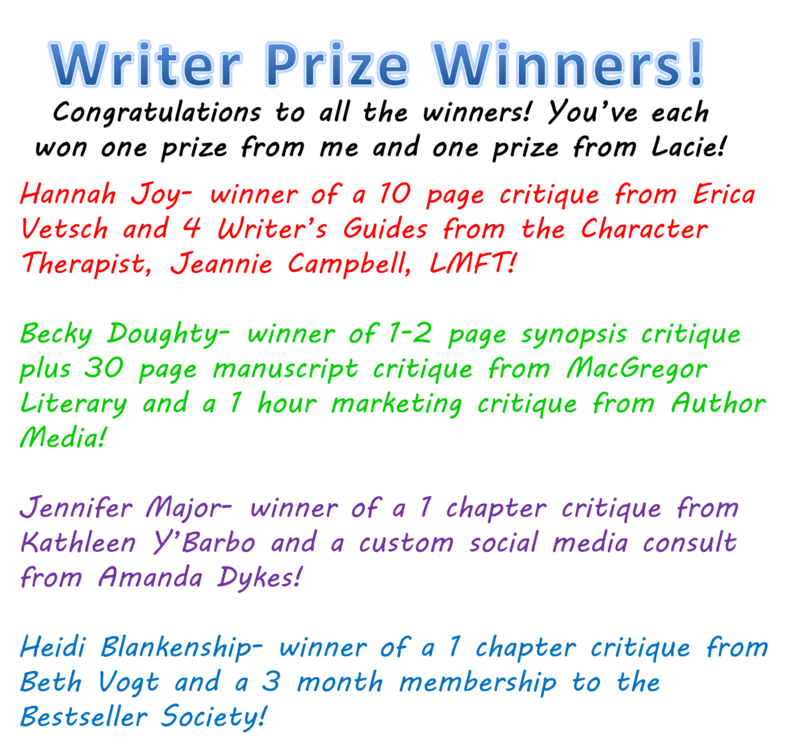 I AM SO excited for my excellent writer friends, Becky and Jennifer! Girls, let your writing BE KNOWN! I am going to FREAK OUT!!!!! This just slays me, SLAYS me!! For an un-pubbed, this is HUGE!!!! Thank you Jenny and Lacie!! I’m gonna go cry like a supermodel at a Cracker Barrel now…. Jenny, I won Lacie’s Friday basket! So excited! I enjoyed this week. Thanks to both of you! Awesome giveaway!!! 😀 I am so excited!!! I emailed you and Mrs. Nezbeth! Congrats to my fellow winners! This was awesome! It’s been a wonderful week thank you.